When it comes time to hire a contractor to fix your roof, there are several terms you may hear them say. In order to fully understand the terminology related to roofing, we have complied this list of common roofing vocabulary for your convenience. Asphalt: Asphalt is a bituminous waterproofing agent found in several types of roofing materials. ASTM: ASTM is an acronym for The American Society for Testing and Materials. This organization sets the standards for a variety of building materials, including those used for roofing. 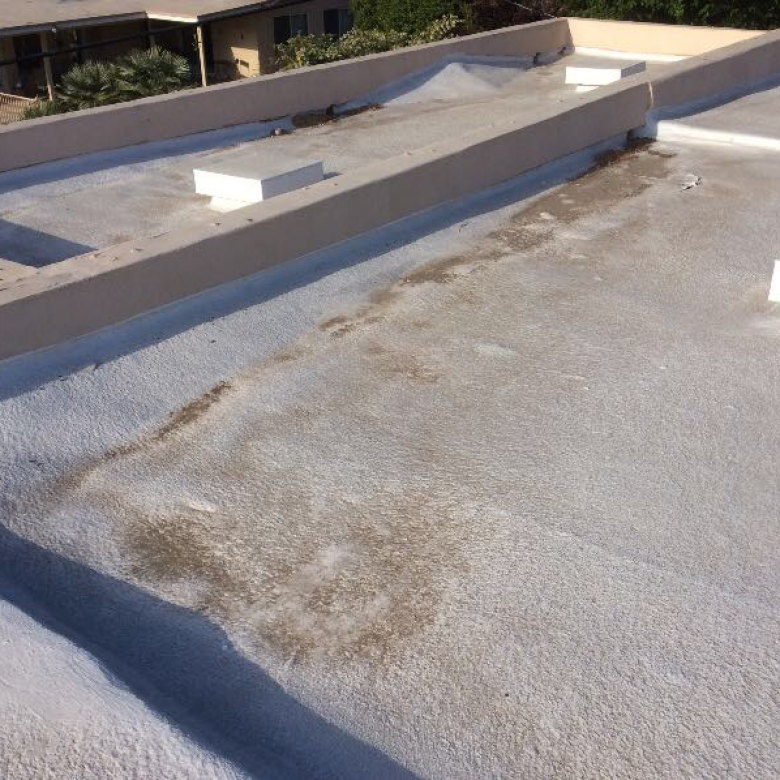 Blistering: If your contractor uses the word blistering it mean that there is bubbling in the roofing materials. This can occur in roofing shingles when there is moisture trapped either inside the shingle or under it. Blow-Off: This occurs when shingles are subjected to high-winds and forced off of the roof. Crickets: These are peaked water diverters which are installed behind chimneys or other large projections on top of roofs. They help to divert water away from these projections. Deck: The term for the substrate over which the roofing is applied. Decks are commonly made from plywood, wood boards, or planks. Dormer: This is a raised roof which extends out of a larger roof plane. Drip Edge: A drip edge is an installed lip that keeps shingles off the edge of the deck and extends the shingles out over eaves or gutters. Eaves: Eaves refer to the section of the roof that stretches from the fascia to the building’s outside wall. In general, eaves are the first three feet across a roof. End Laps: This term refers to the process of installing rolled products onto a roof. The end lap is where the first roll ends, and is then overlapped by the start of the next roll. EPDM: This is a synthetic rubber membrane, also known as ethylene propylene diene monomer, which is commonly used on low-slope or flat roofs. 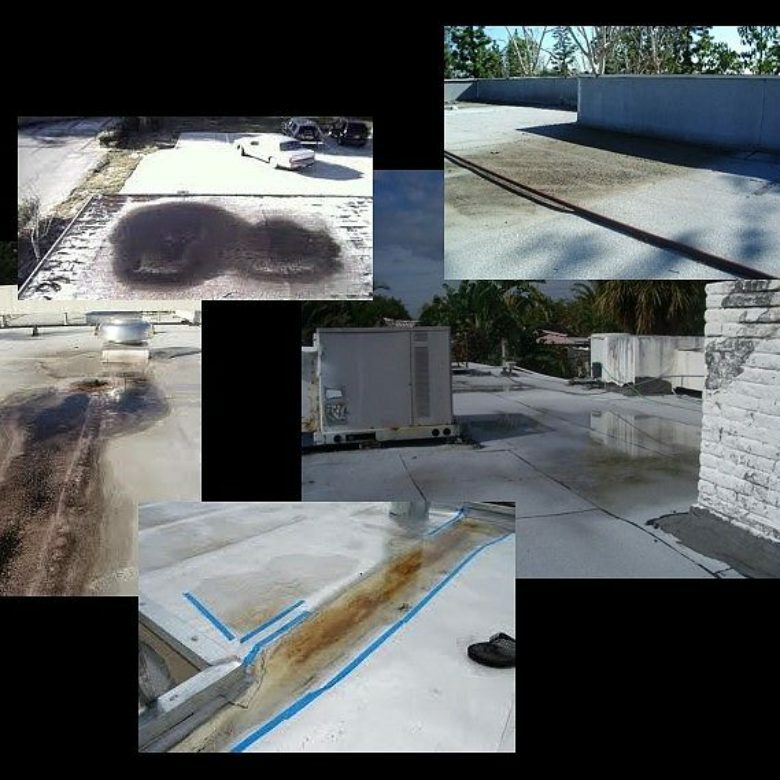 Exposure: Any part of the roofing materials that are exposed to the elements. Fascia: A fascia is a decorative board which extends down from the roof edge at either the eave or rake. Fasteners: The nails or staples used to secure roofing to the deck. 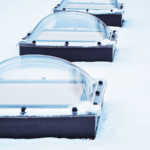 Flashing: This refers to sheet metal used at various points on the roof to prevent water leakage. Granules: This is a combination of crushed rock and cement coating which is fired and applied over the top of shingles. Hip Roof: This term describes a roof that has four planes which comes together at a peak. Ice Dam: When a load of snow melts on a roof and then re-freezes, it can create an ice dam. Ice dams can force water to back-up under shingles and cause leakage. Modified Bitumen: This is a rolled roofing membrane with polymer modified asphalt and fiberglass reinforcement. NRCA: An acronym for The National Roofing Contractors Association. Overdriven: Contractors will use this term when a fastener is driven through roofing materials with excessive force, and the materials are damaged. Pitch: This is also known as slope and refers to the number of inches of vertical rise in a roof per 12-inches of horizontal distance. Ridge: The horizontal line at the top edge of two sloping roof planes. Roof Plane: An area of the roof which as four distinct edges. 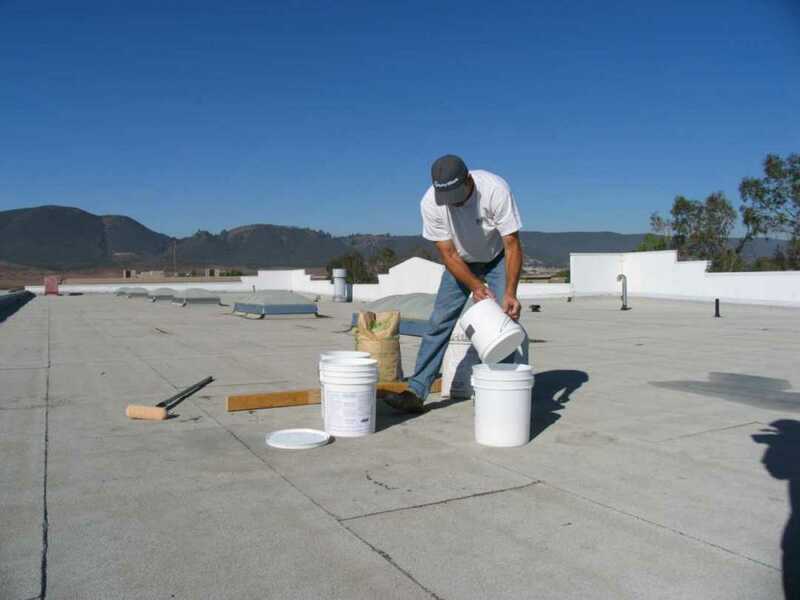 Roof Slope: RoofSlope is a cost-effective and durable material used on top of cap-sheet roofing systems to prevent ponding and enhance water drainage. Side Walls: This is where a vertical roof plane meets a vertical wall. An example is the side of a dormer. Tear-Off: The process of removing all the current roofing materials down to the deck below. Warranty: A written promise to the owner of the roof protecting them against material-related problems. 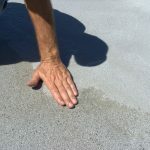 For any questions on common roofing vocabulary or ways to eliminate ponding water on flat roofs, please contact us today! We would be happy to give you any additional information and explain what to expect during your roofing repairs.